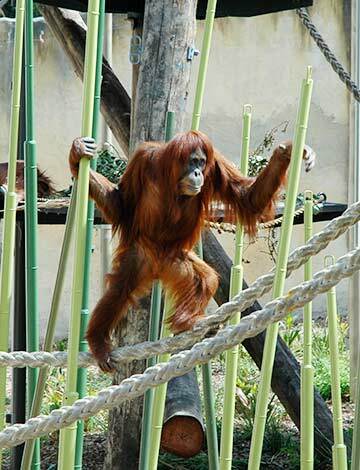 Green & Dale Associates, with CLP Design Architects undertook design and construction phases of the Orangutan Forest Sanctuary Exhibit, at Melbourne Zoo. This project completes the Trail of the Elephants, a Trail Through South East Asia Precinct. It has very strong stories to tell in regards to Melbourne Zoo’s support of in-situ conservation initiatives in South East Asia and reinforces the interpretive messages in place in the existing Trail of the Elephants precinct. It is home to two arboreal ape species: the Sumatran Orangutan, Melbourne Zoo, Pongo abelii and Siamang, Symphalangus syndactylus. 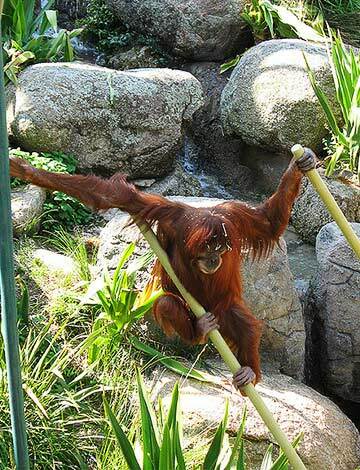 There are four areas to the Orangutan Sanctuary: 1) Outdoor/habitat exhibit representing the release of the orangutan back to the wild – a large natural outdoor area with sway climbing poles, water access and decks towers up to 10m in height surrounded by visitation areas, 2) The Dayroom exhibit within the main Sanctuary Visitor Centre – an internal space protected from the elements, 3) Enclosed exhibit/representing a quarantine area for the rehabilitation of orangutan – an outdoor area with climbing frames and towers, and 4) Visitor Centre – providing viewing and interpretation about these animals, what makes them special and their fight for survival. A lush rainforest landscape surrounds these areas, as well as the exhibits themselves. 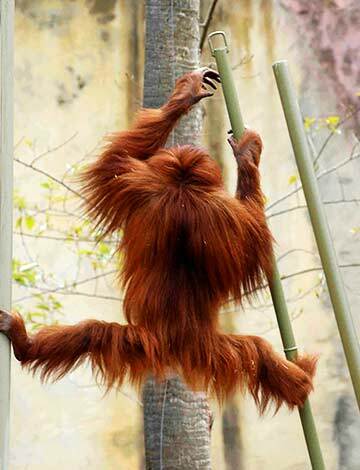 Green & Dale Associates, with the project team of CLP Design Architects with PJA Architects + Landscape Architects, undertook exhibit and landscape design and construction phases of the Orangutan Forest Sanctuary, at Melbourne Zoo.